This beautiful and endemic Dorcadion taxon [❖] is known from north foothills of Dzhungarsky Alatau (Sarkand environs, Almaty Region, SE Kazakhstan). Larvae feed on roots of various grass species (Poaceae) and adults feed on above-ground parts of the same plant species [✧]. 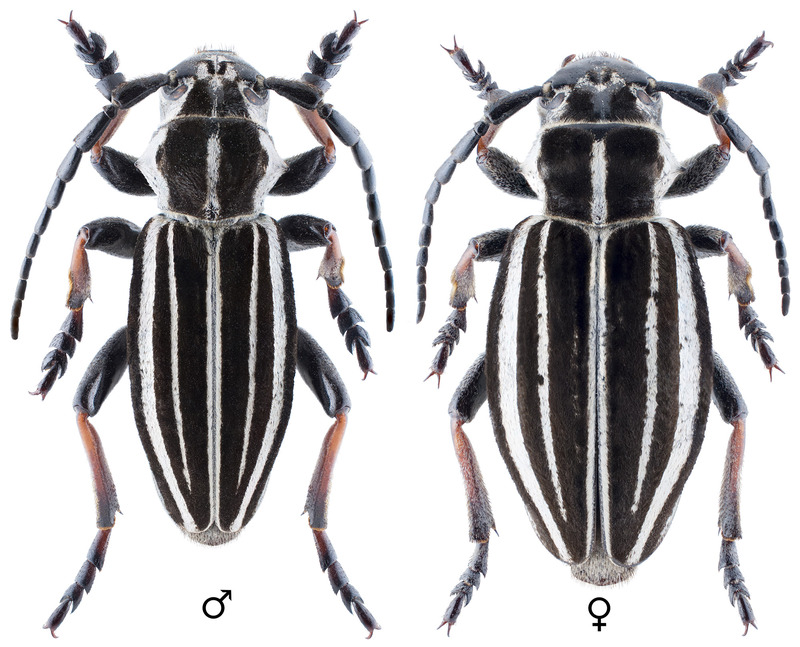 The depicted beetles were collected 10 km SW of Sarkand (1000 m a.s.l., Almaty Region, SE Kazakhstan) in May 2015. Two new subspecies of Dorcadion (s.str.) abakumovi Thomson, 1865 from Kazakhstan and the structure of «abakumovi-group» of species (Coleoptera, Cerambycidae).